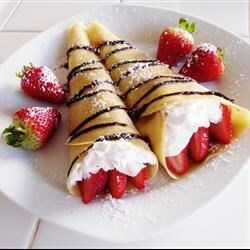 You can do many things with crepes. Fill them with strawberries and top with whipped cream. Fill with Nutella. Fill with ham and melted cheese. The possibilities are endless.